Currently viewing the tag: "Northampton"
Most property investors and business owners have a great MAJOR strategy. But where often they fall down is in creating that elusive SECONDARY or PASSIVE INCOME strategy. Now you’ll hear some uneducated people tell you that property provides a passive income. Well, they are talking nonsense! There are some strategies that can get near to being passive but unfortunately nothing in property can be taken for granted and passive income is something you have to work very hard at, or pay somebody else to do so that you aren’t on the coal face DOING the work. PASSIVE INCOME though is a completely different beast and hence the reason for this post. I want to invite you to a meeting to talk about a new passive income generator that I am using which not only COMPLIMENTS my property businesses but also has the ability to add thousands of pounds per month into my pocket. Are you somebody who has decided that investing in property is for you – but you’re not sure what strategy to follow or even how to get started? 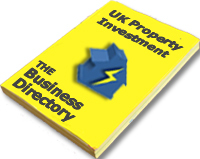 Or are you somebody who already has a successful business but wants to learn how to fine-tune and enhance your property investment profits further? How do you get from where you are right now to where you want to be? Let me introduce you to Matthew Moody’s “Cracking the Property Code” workshop on March 29th 2014 at the Park Inn Hotel, Silver Street, Northampton, NN1 2TA – From 9.30am-6pm. This 1 day workshop is just the thing to help you focus your efforts and increase the rewards, as Matthew provides valuable insight into “Cracking The Property Code”. 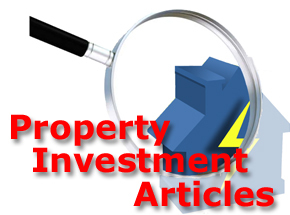 I attended last year and the information that Matthew shared has enabled me to kick start my property investment strategies and has already provided 2 great cashflowing investment opportunities that I would have previously dismissed. Matthew has already sold out of heavily discounted early bird tickets and the remaining few places can be snapped up for just £197 each. But be warned…There are only 50 places available for this workshop, so be sure to reserve your seat today to avoid missing out. If you’re still unsure how to move your property business forward, let me say this, for less than the cost of an overnight stay in a hotel, you can spend a full day learning the in-and-outs of building a property business that guarantees you a SIX FIGURE INCOME every year (that’s £100,000 (GBP) in your pocket). There’s nobody out there teaching you this because to be fair most of them can’t replicate it themselves in their own businesses – but if you follow a fairly straightforward step-by-step process; you can become one of the 1% of people in this country that is earning six figures. If you’ve got the CTPC book and have read it but have not taken action yet, then come to the event. If you’ve got the CTPC book and not read it, then come to the event. If you’ve been to the event before and not taken the action that gives you results, then come to the event. If you are not earning six figures from your property business, come to the event. If you don’t know what strategy to choose or you are following more than 3 at a time, come to the event. If you are truly serious about your property business in 2014 and you’ve been on other people’s courses, events, masterminds etc etc but still NOT MADE IT… Come to the event. The HMO Secrets Workshop is presented by Matthew Moody, one of the leading authorities on HMO’s in the UK. The HMO Secrets Workshop teaches property investors the 7-step system that allowed Matthew to become financially free by the age of 31 and to have managed over 500 units and taken over £16.5 Million (GBP) pounds worth of HMO’s in just 18 months. While London may prove to have the most expensive streets in the UK within Kensington and Chelsea , MyPropertyPowerTeam.com lists the other expensive streets Lloyds TSB identified across England and Wales by region. Property investors should be on the lookout for properties available in these top locations. Remembering the old adage of “buying the worst properties in the best streets” in order to maximise capital appreciation. The most expensive streets in East Anglia are concentrated in Cambridge. All are close to the main University area (particularly around the Botanic Gardens) in the CB2 and CB3 postal districts. The most expensive street is Sedley Taylor Road with an average house price of £ 1,111,000. Valley Road in the Nottingham suburb of West Bridgford is the most expensive street in the East Midlands with an average price of £823,000. Unlike in other regions, the most expensive streets in the East Midlands are spread around the region in towns such as Northampton (Golf Lane, £795,000), Leicester (Swithland Lane, £675,000) and Belper (Hazelwood Road, £790,000). Seven of the ten most expensive streets in the North are in Newcastle, with many of them in the Jesmond and Gosforth areas. Graham Park Road is the most expensive with an average price of £1,228,000 followed by Oakfield Road (£896,000) and Darras Road (£750,000). The ten most expensive streets in the North West are all in areas south of Manchester. Withinlee Road in Prestbury is followed by Macclesfield Road in Alderley Edge (£1,320,000) and Torkington Road (£1,285,000) in Wilmslow. Five of the ten most expensive streets in the South East are in Surrey. Properties on Leys Road in Leatherhead have an average price of £3,108,000 (highest outside London). Other expensive streets in the region include Moles Hill in Leatherhead (£2,608,000), Nuns Walk in Virginia Water (£2,574,000) and both Phillippines Shaw (£2,352,000) and Wildernesse Avenue (£2,293,000) in Sevenoaks. Poole has six of the ten most expensive streets in the South West. Brundenell Avenue in Sandbanks in Dorset has an average house price of £2,024,000 and is the most expensive street outside of London and the South East. Sandbanks is well known for commanding premium property prices, with Chaddesley Glen (£1,443,000), Crichel Mount Road (£1,415,000), Elms Avenue (£1,366,000) and Bingham Avenue (£1,310,000) all having an average price above £1 Million (GBP). Four of the ten most expensive streets in the West Midlands are in Solihull. The most expensive streets are Quarry Park Road in Solihull (£1,070,000), Rosemary Hill Road in Sutton Coldfield (£990,000) and Alderbrook Road in Solihull (£939,000). The most expensive streets in Yorkshire and the Humber are all located in the area that makes up the “Golden Triangle” between Harrogate, Wetherby and North Leeds. The region’s most expensive street is Bracken Park in Scarcroft in Leeds with an average price of £934,000, followed by Wigton Lane in Leeds (£840,000) and Orchard Close in York (£800,000). The most expensive street in Wales is Druidstone Road in Cardiff with an average house price of £685,000. Eight of the ten most expensive streets in the Principality are in Cardiff and Swansea; the remaining two are Gannock Road in Conwy (£677,000) and Glasllwch Lane in Gwent (£485,000).